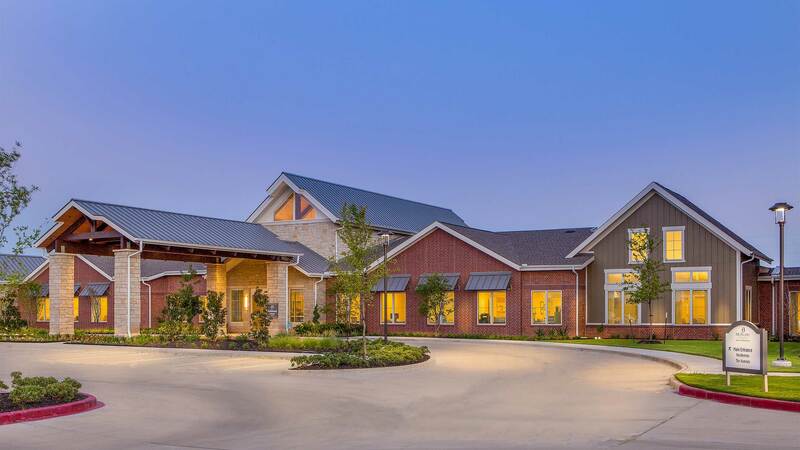 Located in the suburbs west of Houston in Richmond Texas, nestled on a 10.5 acre site, the project pays homage to a ranch retreat. 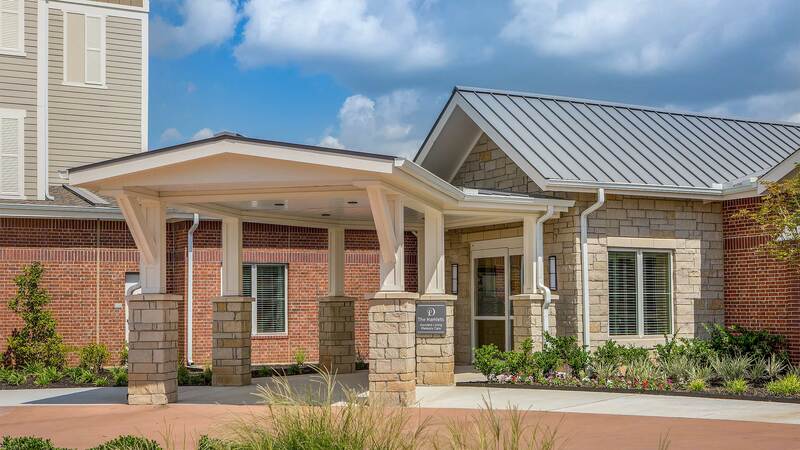 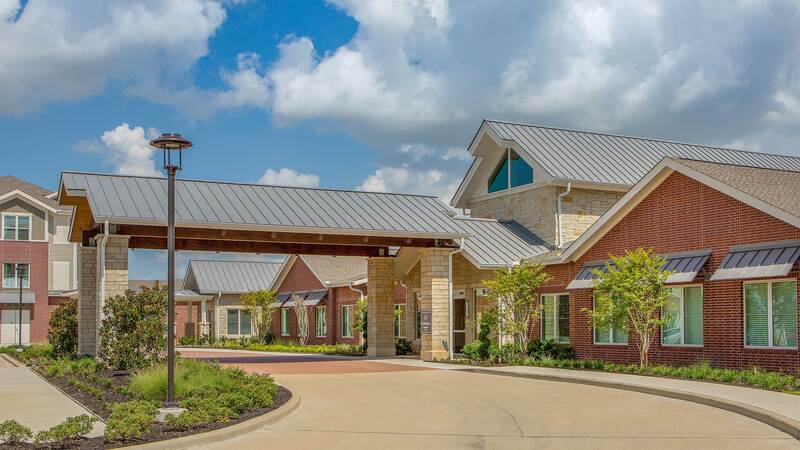 The community is separated into to four interconnected buildings comprised of single story commons building that house all the amenities and lead you out to the independent living courtyard, a four story independent living resident units building, a three story assisted living building with courtyard, and a single story memory care building with enclosed courtyard. 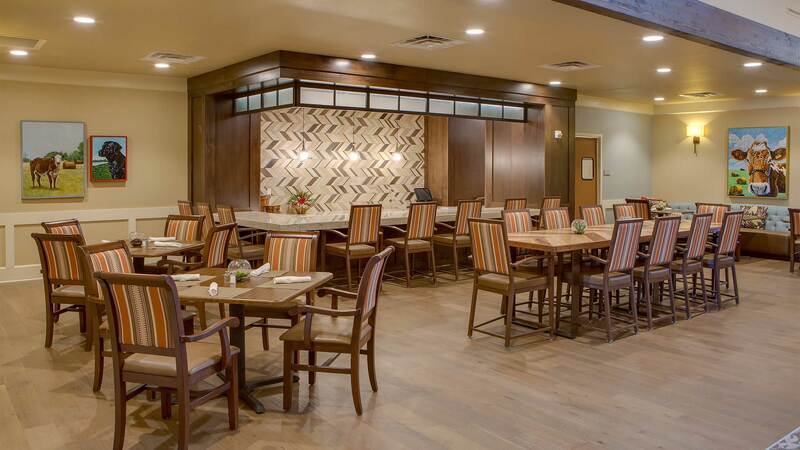 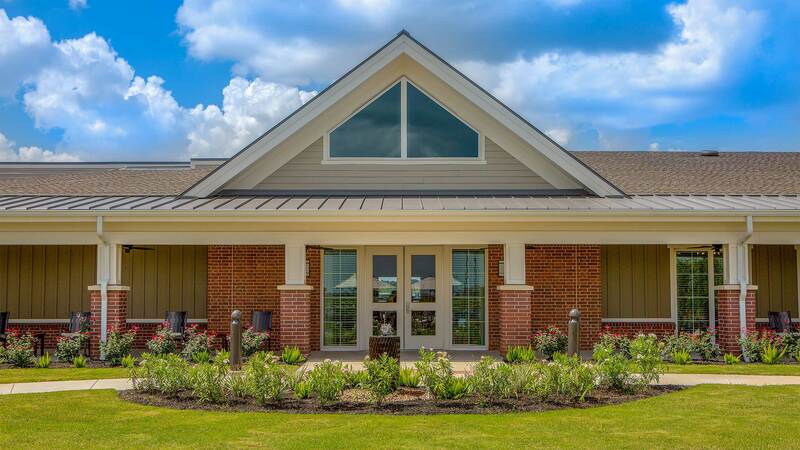 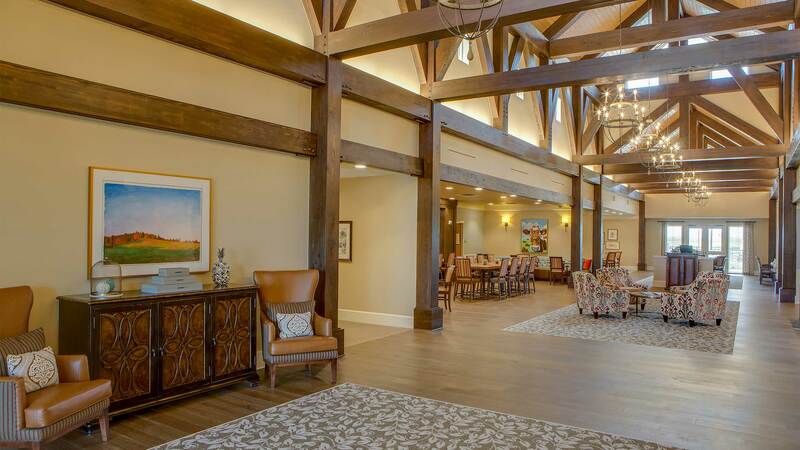 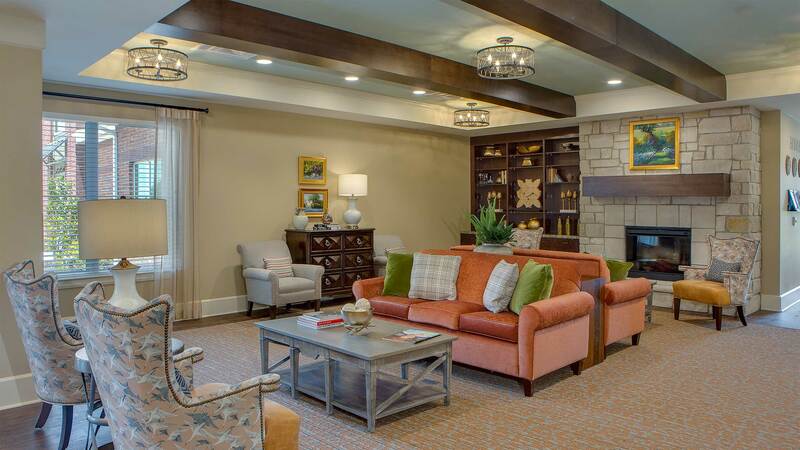 The commons building is centered around the main gallery space which connects you to a community living room, café, formal dining room with private dining, salon, activities room, and exercise room. 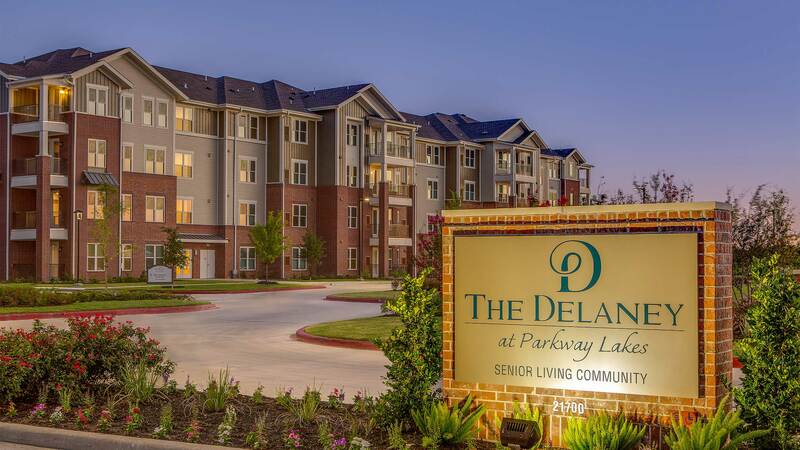 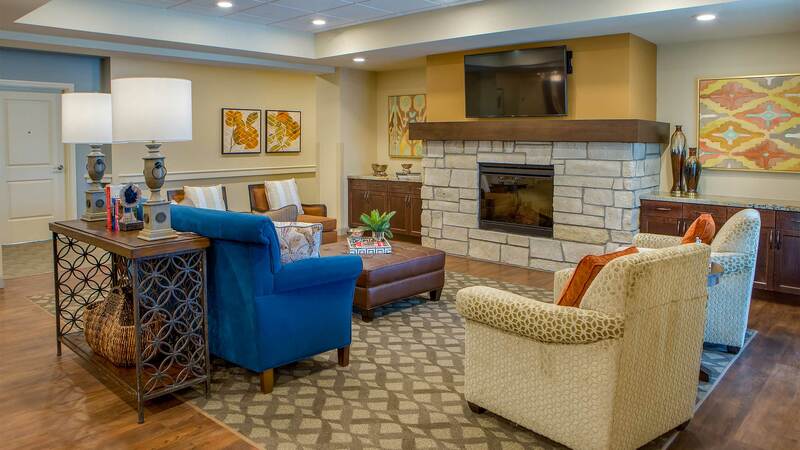 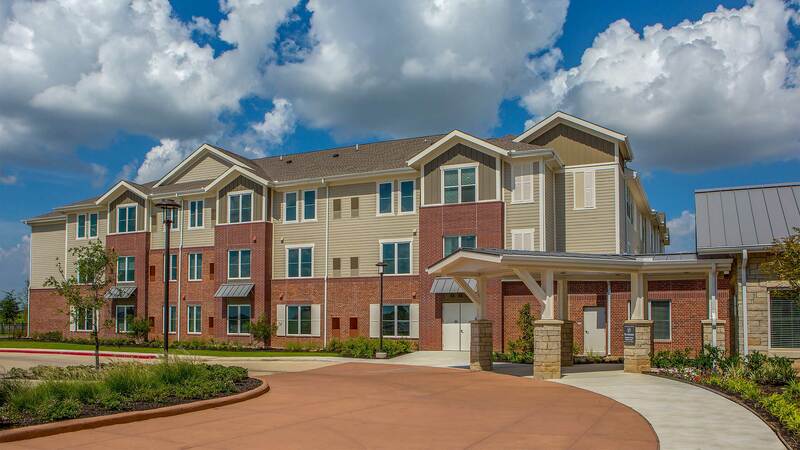 The unit mix consists of 120 independent living units, 55 assisted living units and 32 memory care units.